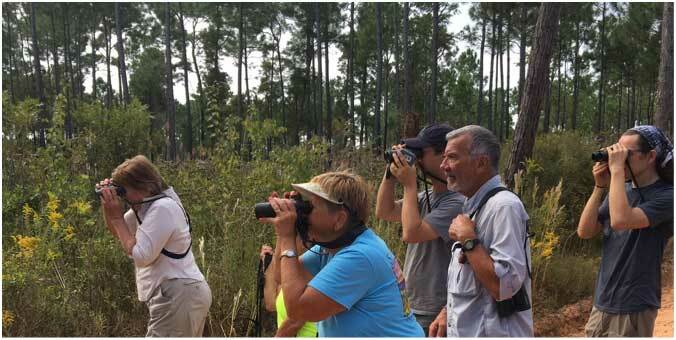 Join Audubon for only a $20 annual fee and instantly become a member of both the National Audubon Society and the Tennessee Valley Audubon Society. For your membership donation, you’ll receive Audubon Magazine and you’ll get satisfaction knowing that you are actively promoting stewardship of land, water, and wildlife resources. Would you like to make a difference, gain community service hours or simply meet people who share your interests? Please consider volunteering. You do not need any special experience to help out. If you enjoy wildlife and nature, we would love your participation. Not sure if you are enough of an “expert”? No problem – we can train new volunteers to lead educational programs. We are also looking for people to join our Board of Directors. Contact us if you are interested in joining a team of caring people who are dedicated to promoting education and conservation of wildlife, especially birds and their habitats. Please consider donating to Tennessee Valley Audubon Society. The programs that we offer throughout the year are offered free to the public or to youth organizations. Donations help us to purchase supplies for our educational programs.